While it’s no secret that British Columbia regularly faces a pet overpopulation problem – one that faces crisis levels – the problem has become even more severe in the United States, particularly California. With a plummeting economy, more and more beloved family pets are being dumped on shelter doorsteps. Most have mere days to be re-adopted or face euthanasia. 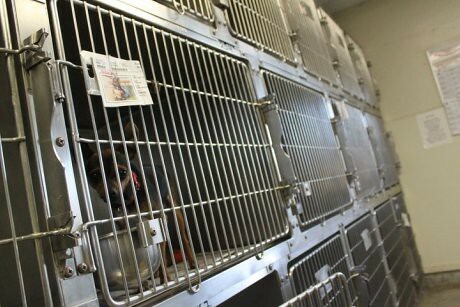 In fact, more than 3,000 animals are euthanized in the City of Los Angeles every single month. One such little guy was fortunate enough to escape being euthanized and brought to British Columbia and into a new home. Meet appropriately-named Lucky. Photo has been privately provided by Lucky’s rescuers. 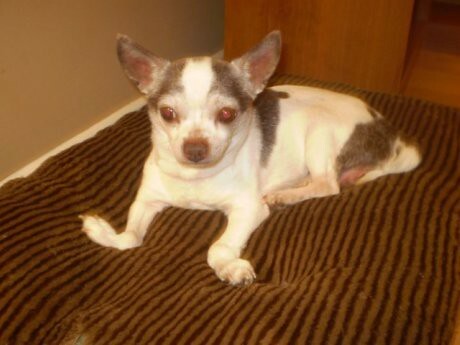 Born with a birth deformity, Lucky’s life has always been a struggle. 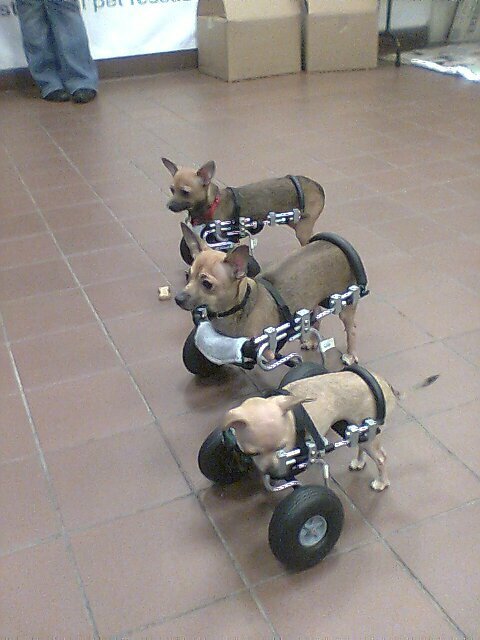 Lucky requires a front-wheel dog cart (such as these) to get around. Fortunately for Lucky, he’s been brought into a Vancouver-area foster home and is finally getting the love, care and medical attention he has always needed. However, there’s expense involved in transporting Lucky and other small dogs up from California, so Bow Wow Haus is holding a fundraising evening to benefit Lucky. On Thursday, February 10, head to BWH between 7:00 p.m. and 9:00 p.m. for a silent auction, a ticketed draw for 20-40% merchandise discounts, Lucky-tinis, delicious treats and a trainer’s corner where your doggie can learn a new trick and more! BWH is located at 1340 Davie Street in Vancouver’s West End neighbourhood. If enough funds are raised at this event, the sweet little girl Pixxie, pictured above, will also be brought to British Columbia to be placed in a new home. Please consider stopping in at BWH on February 10th to show your support. You can find more information on A Night For Lucky! on Facebook. My stomach forms massive knots when I think about how Sophie came from a situation like that. I cannot for the life of me understand why people continue to buy from pet stores and from ‘breeders’ when wonderful animals are being put to sleep simply because these shelters are overcrowded. People just assume dogs coming from shelters will have loads of problems when that’s not true at all. Yes, some may have issues because of past experiences but if you truly want to adopt and care for an animal you will work with them and help them have the life they deserve. Jordy, Sophie and Bandit are a great example of amazing dogs who have come from less than ideal beginnings. I just met a little rescue dog named Tess this week…all the way from California! She is a lucky little dog too!